The best tile saws are designed to cut tiles precisely. They are developed to help you to cut natural and man made materials into tiles. These materials include stone, ceramic and porcelain. The best model is able to help you to cut through the hard and the brittle tiles precisely. 2.1 What is Tile saw? 2.2 How to chose your tile saw? 2.3 How you differentiate your tile saw? 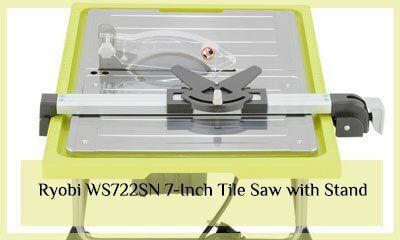 2.4 How to bring out the best output from tile saw? Today there are many tile saws on the market. 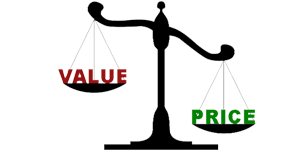 Having a wide variety is great; however, many individuals are confused on which model to select. To make it easier for you, we have done an extensive research to come up with the best models available on the market. Here are our top tile saws available on the market. 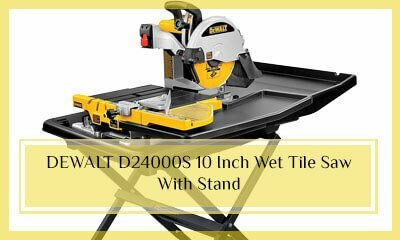 Regardless of whether you are flooring professional or a dedicated DIY, you are going to find DEWALT D24000 wet tile saw reliable and easy to use. This model will help you to get your job done faster and more efficiently. The saw will assist you in ripping the tiles as well as handling the diagonal cuts easily due to the integrated rail systems that ensure more precision when cutting. This model offers you with a 3.125-inch cut depth as well as a 24-inch ripping capacity. Another excellent feature that comes with this model is the stainless steel rail that will not only make the tool durable but also makes it more precise when making all kinds of cuts. The adjustable and dual water nozzles will also allow you to control the water in a more efficient manner for better results. Another great feature that comes with this model is the heavy-duty motor that is great for cutting through the hardest tiles easily. You will also love the ten-inch diameter blade that makes cutting faster. Great motor that enhances its performance. Stainless steel fence that is perfect for accurate cuts. This model is ideal for individuals who are looking for a high-quality model that is not only easy to use but deliver precise results in the shortest time possible. 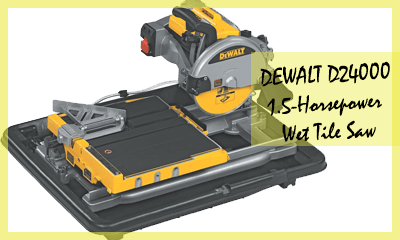 This is another best tile saw from DEWALT, a renowned manufacturer when it comes to high-end construction materials. This model is designed to make tile cutting quick and easy. Featuring advanced features, this tool is easy to use and gives you precise cuts quickly. One of the best features that come with this model is the stainless steel rail system that will not only help you to make accurate cuts quickly but also makes it durable. This makes it strong enough to rip through any tile including those made using ceramic, porcelain, stone and pavers. The tool also comes with a frame that is well integrated with the rail system to ensure accurate cuts. Another impressive feature that comes with this model is the lightweight and compact design. It weighs about 69 pounds meaning that you can carry the tool to the place of work easily. Additionally, the model is constructed with high-end construction materials to ensure enhance performance and durability. Other impressive features include the 22.5 or 45 degrees miter feature that allow for angled cuts plunge feature that assists in making plunge cuts as well as 24 ripping capability. Offers precise cuts within a short time. The plunge cut option is great. Suit the both professionals and avid DYIers. Not so great for beginners as it features advanced features. Looking at the features that come with this best tile saw, it is a great model that will allow you to make quick and precise cuts easily. Both avid DYIers and professionals alike can use the tools to make precision cuts easily. If you are looking for an affordable tile saw to assist you in renovating your bathroom or kitchen, this is a perfect tool. This model comes with advanced features that make it easy to make accurate cuts quickly. One of the features that make it a versatile tool is the innovative hydro lock that will keep the water splash to a minimum to allow you to cut the tiles in the room where you intend to install them. You will also love the sliding side extension that supports up to 18-inch tiles. In addition, an aluminum table will not only give you a surface that is not only rust resistant but also durable. The professionals who have already started using this model are also happy with the rip fence as well as the miter gauge that provides you with precise and straight cuts. Another impressive feature that comes with this model is innovative lower and upper guard design that reduces the cleanup period. When comparing these tools with other tile saws on the market, this is one of the most affordable yet easy to use and durable. Gives you professional results at affordable price. Fence Adjustment is somehow complicated. Has a small water reservoir. With so much advanced features, this tool surely lives to deliver what it promises. Although some people find some of its feature rather complicated, it is very easy to use when you get used to it. 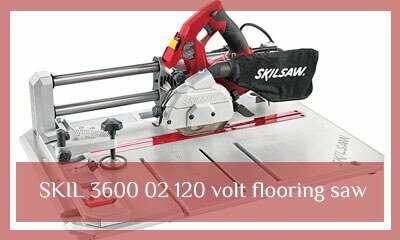 SKIL 3600-02 120-Volt Flooring Saw. 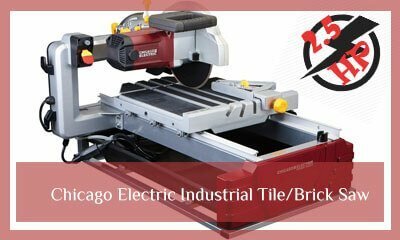 The Chicago Electric 2.5HP tile saw is a proud Chicago offering that comes with every feature you need in a high-end product to make cutting all tiles easy. This is a pretty rugged saw that feature a cast allow the body and two position cutting head that allows you to handle both masonry and tile that are up to 3.75 inches thick. The tool also comes with a steel frame that has a squared off welded base that has offer effective support to the tiles that you are working on. Another reason why you may need to consider this best cheap tile saw is the head pivot feature that will allow you to make both 45 and 22.5 bevel cuts. This best wet tile saw for money saw also comes with a powerful capacitor motor that has both the thermal overload protection and sealed bearings for durability. Additionally, this best DIY tile saw comes with an oversized steel frame that has precision linear bar that allows for smooth operation. Offers you with better water delivery system. Features a powerful 2.5 HP motor. High Price tag although it is worth the price. This is a professional tile saw that features a robust built quality and a powerful motor that will power through the toughest jobs easily. It is a great addition to any profession or DIY user who needs the best tile saw for multiple uses. A great cutting machine that comes with excellent features makes it efficient when it comes to cutting porcelain, stone and ceramic tiles. It comes fitted with a 0.75 HP motor that can generate up to 3,600 rotations per minute. This best wet tile saw also comes with a durable frame and table that are fitted with rubber footpads to increase its stability. Another great feature that comes with this model is the rip and angle cutting guides that are useful in making repeat as well as accurate cuts. This QEP tile saw also comes with a water reservoir and recirculation system, which are designed to maintain a dry working surface. Allows you to make hassle-free accurate cuts and repeat cuts as it comes with rip and angle-cutting guide. Great for cutting a variety of materials. Features rubber footpads for stability. Designed to keep working space dry. The saw is a bit loud especially when cutting harder materials. 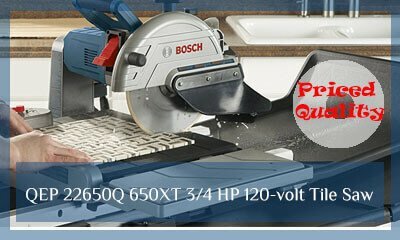 The QEP 22650Q 650XT tile saw is a great professional tile saw to purchase for both commercial and homeowner use. Its compact design makes it easy to transport to the job cite while its sturdy construction makes it efficient and durable. For quite some time now Bosch has been one of the best manufacturers of construction tools such as a reciprocating saw, jigsaws and much more. The manufacturer has lived to its legacy with this wet tile and stone saw. The Bosch TC10 is a high-end tile saw that comes with all the features to make cutting tiles quick and easy. This tool features a 24-inch rip and eighteen-inch diagonal cut capacity and a maximum depth of 3.75 inches. The motor is also impressive having a 1.5 horsepower and ability to make 4200RPM. Another impressive feature is the bevel adjustment that allows you to make 45 and 22.5 angled cuts. Professionals who have already used the tool love the 10-inch diameter blade that is made out of steel. This blade will not only help you to make fast cuts, but its sturdy construction ensures that it last for a long time. This will save you a lot of money that you could have spent replacing the blade now and then. Heavy-duty model that you can use for heaviest tile cutting. Features an over spray prevention mechanism making cleaning easier. Durable construction that gives you a service you can depend on for many years. Great for professional who are looking for a high-end model that does not compromise on performance. Expensive although it is worth the price. This best wet tile saw comes with expanded rear as well side extension that will prevent overspray as well as optimize the water retention. For this reason, the water will be kept within the tool instead of splashing anywhere. This is a great tool for both professionals and avid DYIers. 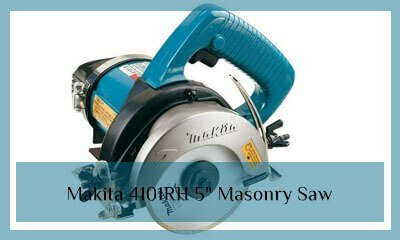 The Makita 4101RH is one of the best-wet tiles saw for money saw that would fit your DIY and professional needs.This model comes with a 7.9 amp motor that makes it perfect for heavy-duty weight. There is also the protective cover style that will prevent water from entering the motor housing increasing its efficiency. Clients who have used this model value the lock on the button that makes the saw easy for continuous operation. This saw is designed for wet cutting of tiles, concrete, masonry and much more. 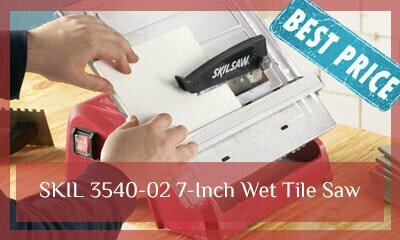 With this best wet tile saw, it is also easy to adjust the depth of cut for more accurate and quick cuts. Additionally, the model comes with 15 feet of tubing water valve as well as a water pressure regulator. Features a Lock-on button for constant use. Unique cover design helps prevent water from getting into motor housing. Well built to ensure efficiency and durability. Easy to use making it ideal for beginners. Features a powerful and effective motor. If you are on the lookout of a best DIY tile saw to help you in renovating your kitchen or bathroom, then this is one of the best wet tile saws to use. Additionally, when you consider the features that come with the product; it is definitely worth every penny. If you are on the lookout for a best professional tile saw that is lightweight and portable, this is a great choice. The tool will also fit the needs of individuals who are on a budget as it is reasonably priced. Most individuals who have already purchased this model are happy as it offers you with everything you need to make accurate cuts within the shortest time possible. This product also has very much positive feedback when it comes to durability and performance. First, this model is compact, as it weighs less than 18 pounds. This makes it a versatile and easy to carry model. It also features a 7-inch blade that allows you to make 2 inches deep cuts that are about 12 inches long. To enhance its performance, the tool is fitted with a high torque motor that has a capacity of 5,500 rotations per minute. This makes it perfect for cutting both the floor and counter tiles. Lightweight and compact design making it easy to use. High power motor for enhanced performance. Easy to use making it perfect for beginners. Allows you to make angled cuts. Features hinged blade guard that allows for easy blade changes. Some clients complained that it has a lot of over sprays and you have to use it outside. This saw will serve the needs of both DYIers as well as flooring professionals. It is a great choice for anyone who is looking for a model that you can use for kitchen, bathroom, and other remodeling uses. The SKIL 3601-02 is an advanced tile saw which is more focused towards making professional operations faster, easier and more efficient. Unlike other models on the market, the model is combined with high precision miter to allow it to make cuts that are more precise quickly. You will also love the Hydro lock feature that will keep the water close to the blade reducing cleaning. There are also the dual sliding rails that will not only provide enhanced accuracy but also allow effortless operation when making the cross as well as the miter cuts. To make easier for you to make the miter dents, you can easily adjust the saw to accommodate 0, 22.5 and 45 degree angled cuts. Another innovative feature that set this product from the rest is the innovative locking system that will lock the rails for rip cuts. Features an innovative design that makes angled cutting easier. The motor is strong enough to make deep cuts that are appropriate for both professionals and DIY tiling. Perfect for beginners, as it is very easy to adjust to make straight and miter cuts. If your priority is the deepest or longest cut, this may not be the best choice. This will save the time used to make these cuts and still make the work much easier. Additionally, this model is lightweight and compact thus making it easy to transport to the place of work. The assembly is also hassle free. Ryobi ZRWS722 7 inch wet tile saw is one of the best tile saws that features a compact size making it easy to set up and use. This model features the best in class cutting capacity, having the ability to rip 20-inch tile and making diagonal cuts on 13-inch tiles. The model will work well on both ceramic, stone and porcelain stone tiles. Another impressive feature that comes with this Ryobi tile saw is the stainless steel blade that is not only durable but also helps you to make bevel cuts at both 22.5 and 45 degrees. Most of the individuals who have already used the product also love the rip guide that will lock in place at the rear and the front rails allowing you to make precise cuts effortlessly. Additionally, this professional tile saw comes with a powerful high torque motor that handles the most demanding application easily. Other impressive features include the wrap around rear splash guard that retains the water spray as well as the submersible pump that features a filter that provides continuous water flow to cutting wheel. Features a high torque motor that handles different application easily. Highly portable and very easy to transport. Very affordable making it a perfect choice for budget conscious individuals. Good for medium duty task but not so heavy. If you are looking for a budget friendly tile saw that would help you to tackle installing tiles in a new house or for renovation purposes, this is one of the best-wet tile saws. The model is easy to use making it perfect for professionals and DYIers alike. Almost each tilling job requires a cutting tile. The tool you decide to use when cutting determines what you want to cut, how much you want to cut and the manner you are going to cut. Usually, the easiest and most effective and efficient alternative is by using a tile saw. These saws might look much similar to other ordinary saws used for cutting metal or wood, but they are actually somewhat different. Tile saws are designed for cutting man-made and natural tile such as hard stone, ceramic and porcelain. Tile usually breaks easily while tile saws specifically cut delicate materials without damaging them. These saws are easy to use, safe and give proficient results within reach of home users. 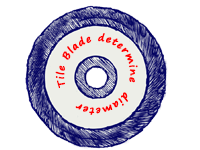 Tile saws don’t have sharp blades that may tear or rip so as to make a good cut through the material you want to cut, but alternatively they grind through the tile. In case you want to cut tiles for a floor kitchen, walls of a shower or any other DIY project, then consider using a tile saw because it is the best for that job. The tile saw has an expensive, diamond coated blade which is at times known as a wet saw. This saw also comes with a water cooling system which prevents any excess dust from soaring around and also protects the blade for it to give a smoother cut. Tile saws are also used in making bevel cuts as well as angled cuts that are comparative to the type of material used which is measured aligned with a square edge –cut; however, this will only depend on the type of tile saw used. How to chose your tile saw? Most tiling tasks must require some cutters; however, tile cutters are not manufactured with equal blades. Some tile saws are designed in a way they can make custom and designer cuts while others are made exclusively to make straight line cuts. Therefore, how do you choose the right tile saw for your job? Investing in a quality tile saw is a significant thing and something worth doing in case you are planning on a ceramic tile fitting project. Tile saws usually vary from price to price depending on the features they have and also their quality. The moment you have completed your initial ceramic tile fitting project, you will, without doubt, want to do several more. Usually, ceramic tile gives your bathroom and kitchen floors, tubs, and walls an attractiveness that is highly unbeatable. This is the reason it is a good thing investing in a tile saw even in your first tile project. A good tile saw has a fence which makes angled tile cuts and straight cuts. A cheap tile saw is also worth buying because they also perform well by cutting tiles. When choosing a tile saw consider going for a tile saw that has a blade and motor that sits well above the cutting surface. The tile saw should also have a large reservoir for holding the water. You should also consider buying saws which have a powerful motor of around 1 to hp or even more. In addition, you should also choose these saws that have a big table surface that can slide forward and below the tile saw blade. It is also recommended that when choosing a tile saw; you consider one having a water pump for pumping water up onto the tile saw blade. Today, there are many tiles saws on the markets. These include the handheld variety and the wet saws. The handheld models are professionally designed and lightweight, making them easier to use. Another great choice of the best professional tile saws are the tile grinders, these are smallest saws and very handy for the DIYers. They will help you in shaping any tile to the appropriate shape you need. These saws are the best when it comes to shaping tiles and also doing smaller job repairs such as removing of tiles. They have a diamond coated cutting which is strong enough to grind away tiles which are stuck on a water surface. They also maneuver easily, thus making them a good option for beginners. Most of the times, these saws come with a tray which can be fixed of sometimes sliding for holding water. They are also designed in a way that the consumption or usage of water can be minimized. They are also made in a portable way making their transport ability from one job site to another easier. Wet tile saws are known to be the best saws available for cutting tiles. They have a similar look to the table saws except that their blade is mounted in a water pool. They are precise and best option for big projects like many tiling rooms and also cutting large quantities of tiles. In both Tabletop and Handheld Tile saws, dust masks are necessary because of the flying dust particles present in dry cutting projects. Both Tabletop and handheld tile saws use a diamond cutting wheel which is mounted underneath the table. In the tabletop saws, tiles are usually pushed across the table through a diamond cutting wheel which is mounted below the table while in a handheld tile saw tiles are grinded using a diamond powder coated cutting wheel which is in contact with. How you differentiate your tile saw? 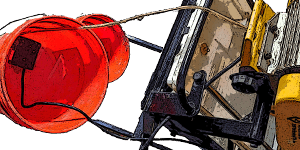 Tile saws can either reuse the water stored in the pump container or else draw water from a water source. They have a sap which drains the waste water. Saws that reuse water saves water usage while working while those that draw water from a water catchment keeps their water cleaner. Motor sizes are available in the tile saws but with different sizes. Consider bigger motors of 1 to hp or bigger because they are more powerful and sits well on the blade. Bigger motors are more powerful and drive the most speed when cutting the tiles. The size of the blade will determine the depth and diameter which you will make. Many models have a diameter of up to 27” and an angle diameter of 18 to 19”. Usually, thick tiles will need large blades for deeper cuts. The common blade sizes range from 4.5, 7 to 10”. The best home project tile saw has a 7” blade. A blade capacity is the aptitude of the saw’s cutting head to adjust and have a fine tune of holding the different sizes of blades that are there depending on the job you are doing. It is important to consider purchasing a tile saw that has adaptable features particularly if you are working on projects that have different tiles. The blade adjustment is another key feature to look at in tile saws. Most of the tile projects involve making mitered and beveled cuts. Ensure you go for the models that have adjustable blades for making different cuts. An example is the table saw which should have or come with a miter add-on. 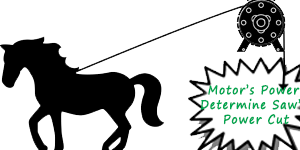 Motor horsepower supplies a torque to cut a strong tile. Lighter handheld models of below 0.5 handle small and thin tiles while large handheld models have a torque of more than 0.5 horsepower. It is recommended you purchase the most powerful models depending on your budget and project. A higher blade rotation lets say 3500 rpm is powerful enough to meet home needs. Overload protection is another key feature that can’t be left out. The thermal overload protection usually protects the motor from getting overheated and also cases of burning, tile saws with direct drive motors are more prone therefore it is important to buy models that have an overload protection. It is also important to check the specs just to be certain. Usually, a cheap tile saw wears out easily and is also prone to dust because they have a smaller water reservoir and also have smear motors thus they are not powerful enough. It is recommended to buy more expensive models because they last for long and are more powerful to suit your home need applications. The tile saws come with a manufacturer’s limited warranty of one year. This long period guarantees you that the quality of the tile saw are high and you should not expect any breakages, but in the case of any breakage, you will be compensated within that duration. 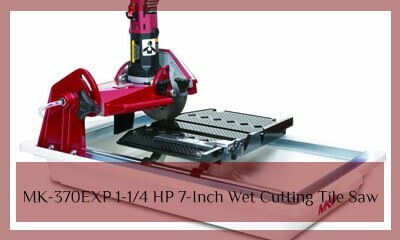 How to bring out the best output from tile saw? Tile saws with re circulating pumps have a water reservoir where the water from the basin or tray is used and later filtered so that it can be reused without hooking up a faucet. The pump- fewer models, don’t have a reservoir. Therefore they are hooked to a faucet which supplies fresh and clean water constantly. For each cut to happen, water normally comes with a 10 to 12-foot hose that has to be attached to a water source. The water usually serves three main functions which include cooling down the tile saw blade which can easily be damaged by the heat formed from the blade’s friction on the tile. It also serves as a lubricant between the tiles and blades which makes cutting easier as well as preventing tiles from cracking due to the intense heating. It helps to reduce the dust particles which are formed when cutting thus managing the spray which is very significant. Tile saws are necessary to jobs which involve man-made or natural tiles. Users can make desired outcomes and also save a lot of money by minimizing material wastage and breakage. 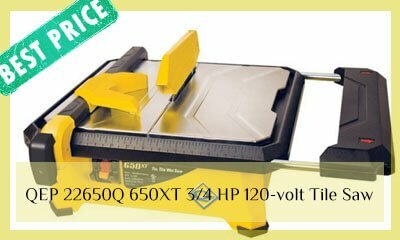 Therefore, whenever you are choosing the best tile saw, consider the size, thickness and of course the volume of tile to be cut. Remember, with a cautious selection; a tile saw will serve all you project needs for many years.